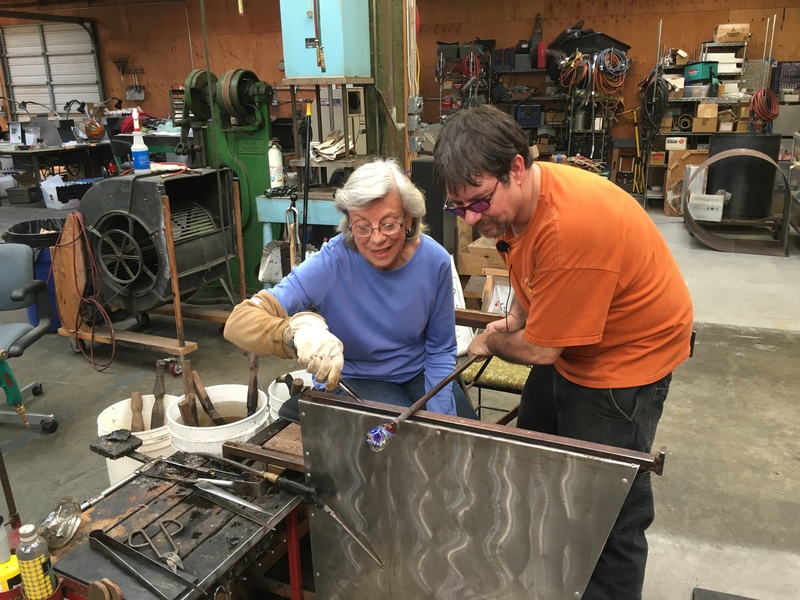 A 2-2.5 hour mini-workshop and introduction to working with hot glass. 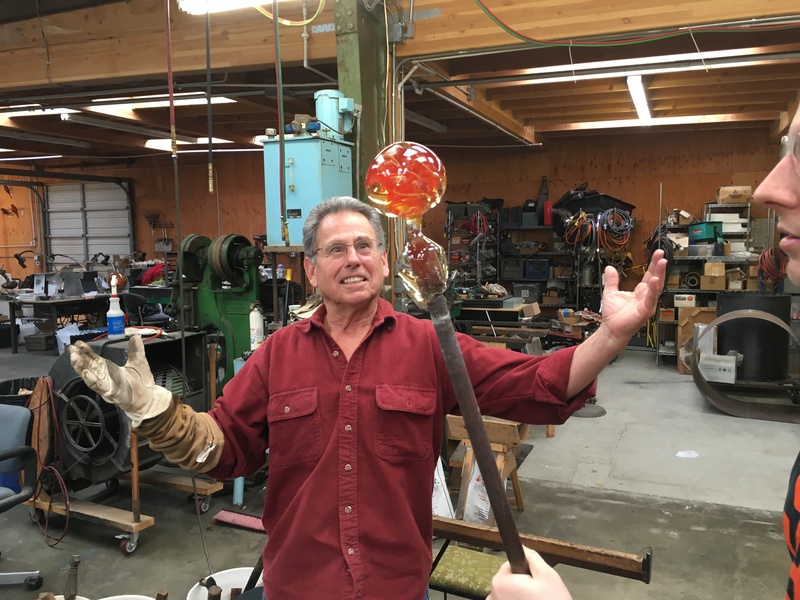 After a short demo, we’ll guide participants in stretching and shaping the 2,000 degree glass to create a beautiful paperweight or object d’art. 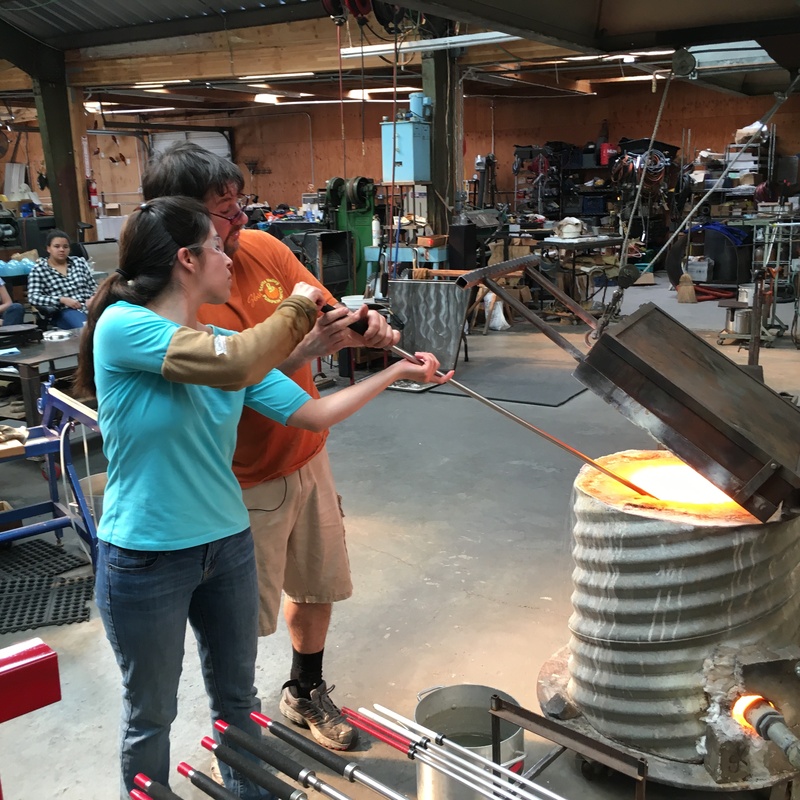 This hands-on studio session allows you to select and apply colors, twist and turn the molten glass, then shape the materials according to your creative vision. A unique and fun activity that the whole family can participate in (kids must be over 12). The perfect introduction to the glass studio-also a great choice for group events! All participants will take home a beautiful glass object that they have made. No prior glass experience needed. 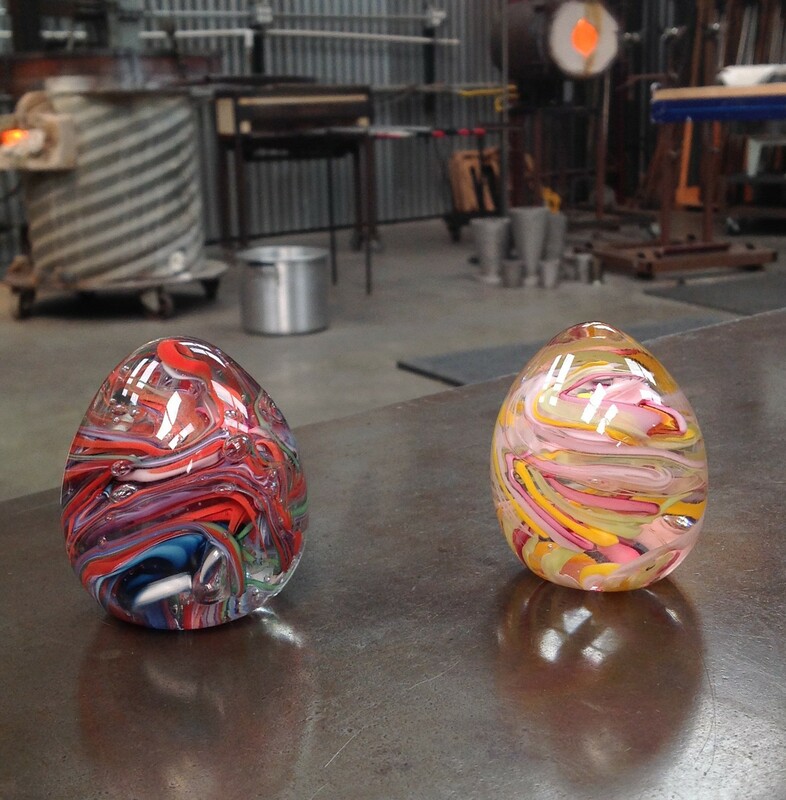 All glass creations must anneal overnight and will be ready for pick-up the next day (shipping available). Workshops in session most Saturdays. Call to discuss scheduling other days or for private group events.